Have you seen the fabulous new release from HNDMD yesterday!! I'm here to showcase some of their fabulous new products. To begin with, I have used the new liquid watercolour "Oh Fudge" to create a watercolour background. I then stamped the new 'Dad' mini stamp. The dad image is from an older set from Craftangles "Dad my superhero" . 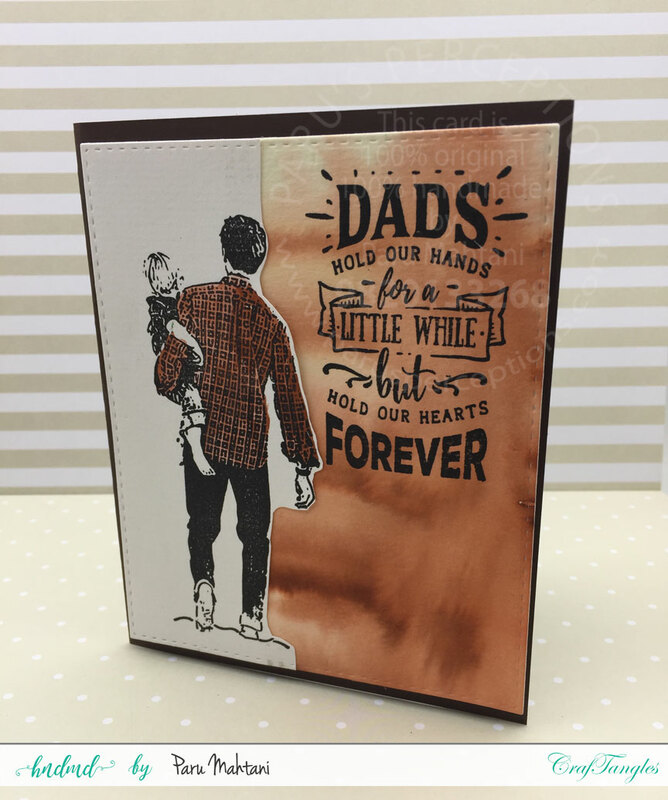 I adhered the two panels and die cut them using a stitched rectangle die and adhered it to a Craftangles brown card base. For the second card, I started with a Craftangles Black card base. 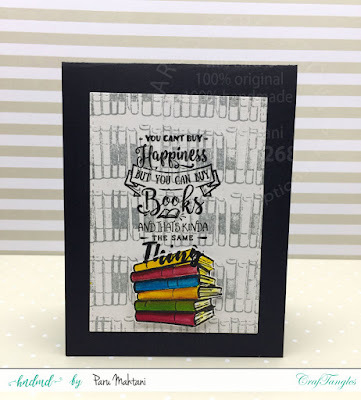 I stamped the books stamp in grey and die cut a background panel using stitched rectangle die. 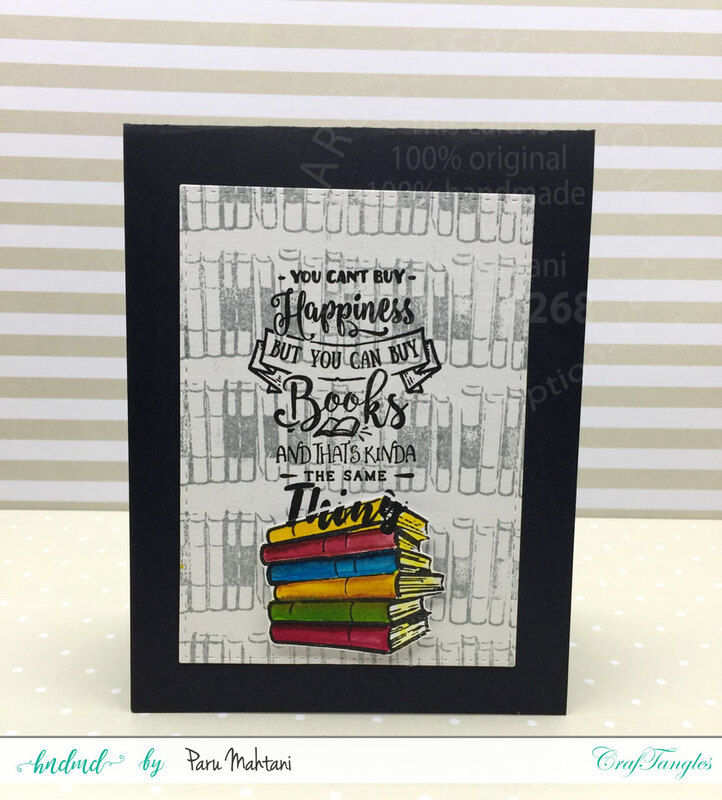 I then stamped the sentiment...the new Craftangles mini stamp Books. I stamped fussy cut and coloured the pile of books and adhered it to the card using 3D foam tape. For the third card, I used an old heart button stamp to create a background which I then die cut using a stitched rectangle die. I stamped and fussy cut a few heart buttons and coloured them using Craftangles liquid watercolours. I threaded them onto black embroidery floss and adhered them to the background panel. 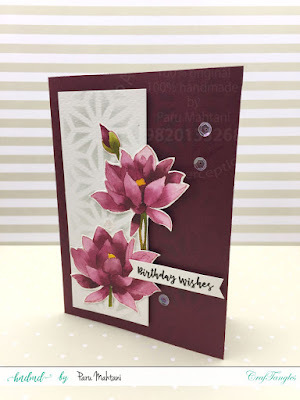 I then stamped the new Craftangles mini stamp 'Mom' and die cut the panel to adhere it to the background. I finished the card by adhering the background to a black card base from Craftangles. 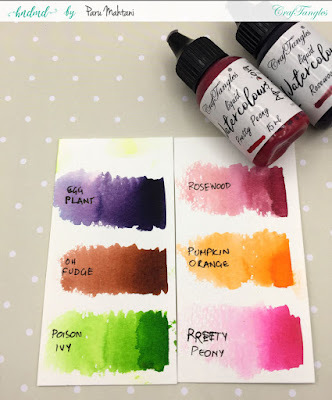 Here are the beautiful liquid watercolours released this month...They are so vibrant and bright. You can combine colours to make the most gorgeous combinations. I tried the no line watercolour technique... I stamped the flowers on watercolour paper using Tim Holtz distress ink and then coloured them in. I then heat embossed the sentiment (Craftangles Hello Lovely) in white and adhered it with 3D tape to the centre of the floral panel. I adhered the panel to a 5"x7" red card base and added a sentiment (Craftangles Everyday sentiments) and some Craftangles clear sequins to finish the card. 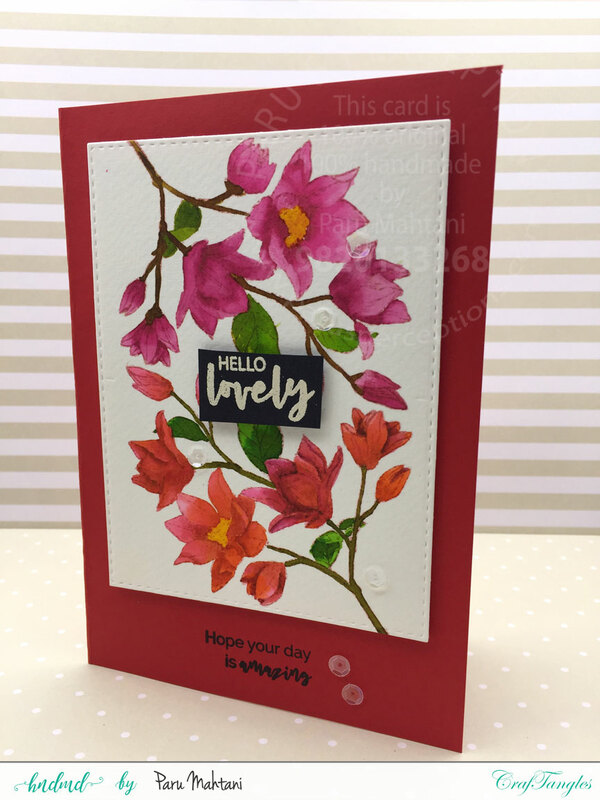 For the second card, I stamped the flowers from the brand new Hello Lovely stamp set and painted them using "Rosewood" liquid watercolour. I then fussy cut the same and adhered them to the a stencilled card base. The stencil used is the newly released 'Geometric bursts' stencil. I finished the card with some Craftangles clear sequins. I hope you enjoyed these cards as much as I loved making them. 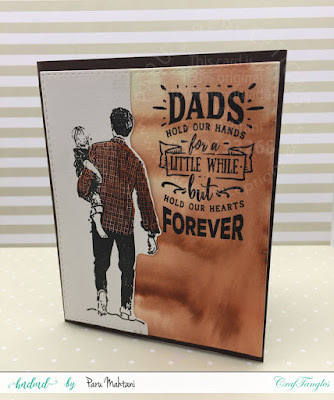 Beautiful cards and the first one for Dad is my favorite.